If you’re looking for a taste of sunshine in the middle of winter, look no further than my Kudos Kitchen’s best easy homemade orange curd recipe! 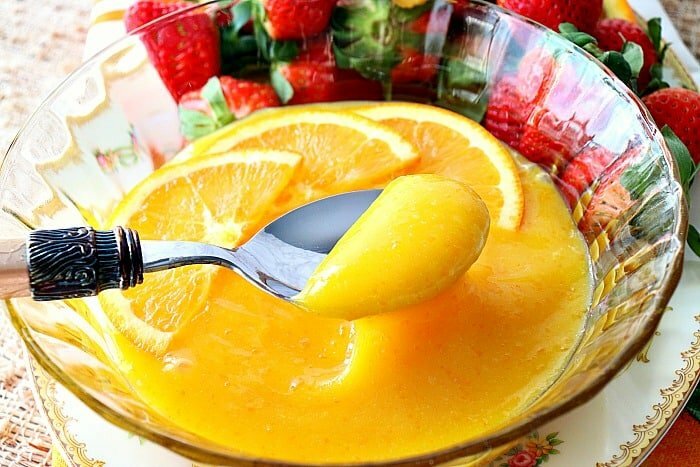 Homemade orange curd makes an excellent dip for fresh strawberries. I’ve been craving oranges – a lot! I don’t know if it’s a need to replenish vitamin C in my body, or if it’s because I’m craving warmer temperatures during this arctic blast we’ve been experiencing here in the Midwest. Whatever the reason, this easy to make thick and tangy homemade orange curd cures my craving for oranges and satisfies my sweet tooth in an utterly delicious, and completely versatile, way! **Please Note – The printable recipe card with detailed instructions, complete ingredient measurements, and nutritional information for making Homemade Orange Curd is available near the end of this post. How long does it take to make homemade orange curd? From start to finish, it takes no more than 30 minutes. After that, the curd needs to cool before completely before refrigerating. Will the homemade orange curd thicken upon cooling? YES!! No need to worry if your curd seems on the thin and runny side while it is still warm. Once the curd has a chance to cool significantly you’ll be surprised just how much it thickens, and once it has been refrigerated a few hours the sweet orange sauce will be thick, rich, and velvety! Homemade orange curd is thick, rich, and velvety. What are the tips and tricks for making the best easy thick, rich, and creamy homemade orange curd? Cooking the curd low and slow on the stovetop, and stirring it constantly, are the best tips I can give you. The sweet orange sauce is ready to be cooled when it easily coats the back of a spoon (or spatula, in this case) and a clean trail is left behind after you’ve run your finger down the surface of the spoon (see photo in the tutorial). Before cooling, strain the curd into a bowl to remove any hard bits of egg yolk that may have formed while cooking. If cooked at a low enough temperature, and stirred continuously, there won’t be much in the way of hard bits. Use a spatula to press the curd completely through the sieve and discard whatever remains in the sieve. Once strained, cool the curd on the counter for at least one hour and then cover the curd with cling wrap and chill in the refrigerator for at least 4 hours. Your homemade sweet orange sauce is now ready for a multitude of uses. 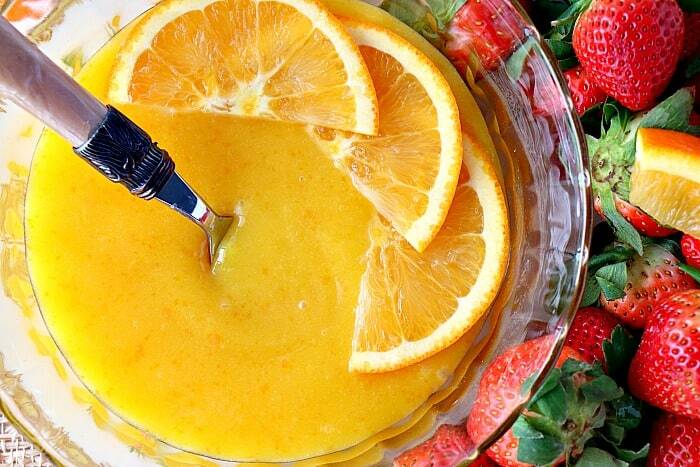 A taste of sunshine in every spoonful! 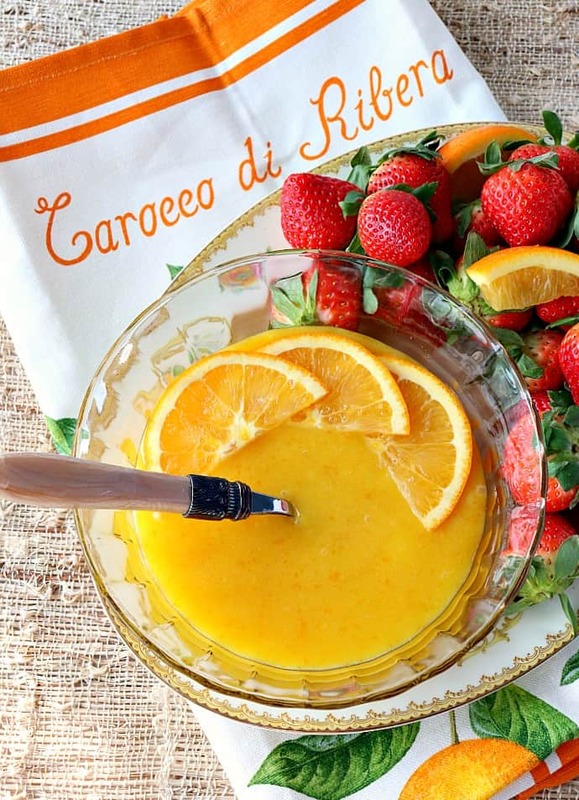 What are the essential kitchen tools for making a sweet orange sauce at home? For me, the key to making a lot of fresh orange zest (or any citrus zest for that matter) quickly, is to use a potato peeler and a food processor. You’ll also need a large wooden spoon or spatula, measuring cups and spoons, a heavy bottom saucepan, a few kitchen bowls (small and medium), a whisk, strainer, and some cling wrap. Help! I forgot to bring my eggs and butter to room temperature! How can I do this quickly? Add the chilled eggs to a bowl of warm/hot water and allow to sit for 3-5 minutes. Viola. Room temperature eggs! As far as the butter, microwave a bowlful of water until boiling. Carefully pour out the water and set the bowl over the stick of cold butter. Allow to the butter to sit under the bowl for a few minutes and…voila! softened butter! Add the orange peels (making sure not to get the bitter white pith) into the food processor. Process until small and crumbly bits are formed. Add the granulated sugar and process again until the sugar and orange peel are completely combined. Scrape down the sides of the food processor again. Add the orange and sugar mixture to a medium bowl along with a pinch of salt. Make sure to have the butter and eggs at room temperature. Using a spoon or spatula, work the softened butter into the orange and sugar mixture until blended. Add the fresh orange juice. Add the orange extract (optional). Stir well. The mixture will look curdled, but don’t worry about that. Add the sugar, orange and butter mixture into a heavy bottom saucepan over very low heat. Meanwhile, separate 5 egg yolks (reserving the whites for another use) and whisk to combine. While the orange and butter mixture is cooking over low heat, add the beaten egg yolks (a little at a time) to the heating orange mixture, stirring constantly. Continue to add the egg yolks gradually to the saucepan, stirring constantly, until all the egg yolks are incorporated. 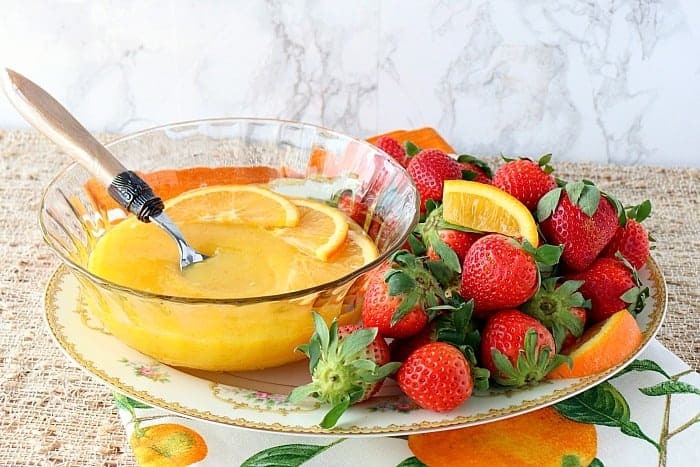 Continue cooking and stirring the orange curd over LOW heat until the mixture thickens and can easily coat the back of a spoon or spatula and a trail can be left behind after running a finger down the length of the spoon. *Note – this will take approximately 20 minutes of cooking on low heat. DO NOT be tempted to increase the heat to medium or you will cook the egg yolks, the eggs will scramble, and you will ruin the curd. Once the curd has thickened, pour it into a sieve placed over a bowl, and use a spatula to press the curd into the bowl. Discard the bits that are left behind in the sieve. Allow the hot curd to sit at room temperature until almost completely cooled. The curd will thicken upon cooling. 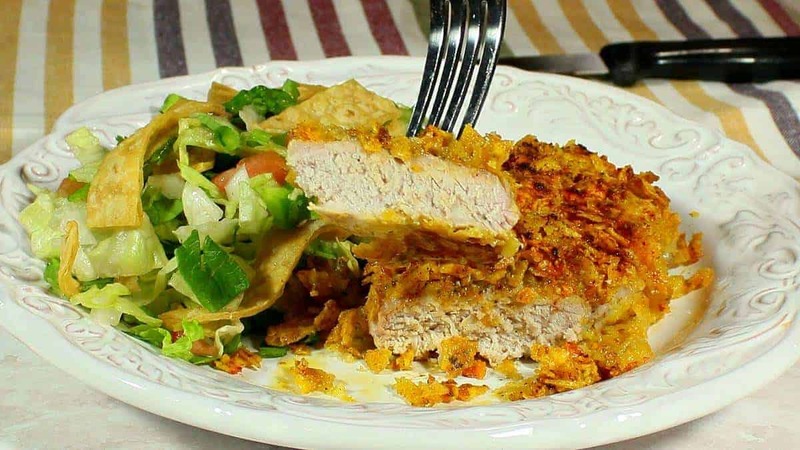 Once almost completely cooled, cover the bowl with cling wrap and chill in the refrigerator at least 4 hours. The curd will thicken even more during chilling. You are now ready to use the homemade orange curd for a multitude of uses. Mix homemade orange curd with whipped cream for a tasty treat you’ll love! 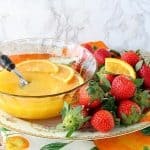 **The following affiliate links are some suggested products I’ve chosen that will aid you in the making and serving of this Best Easy Homemade Orange Curd recipe if needed. By clicking on the item photo, you’ll be taken directly to Amazon.com if you’re interested in purchasing any of these products. You are in no way required to do so, and you will not be charged in any way unless you decide to purchase one of these products through Amazon.com. As an Amazon Associate, I earn from qualifying purchases. Below is the printable recipe card for today’s Best Easy Homemade Orange Curd. If you're looking for a taste of sunshine in the middle of winter, look no further than my best easy homemade orange curd recipe! Add the orange peels (making sure not to get the bitter white pith) into a food processor. Process until small and crumbly bits are formed. Add the fresh orange juice and orange extract (optional). Stir well. The mixture will look curdled, but don't worry about that. Add the sugar, orange and butter mixture into a heavy bottom saucepan over very low heat. Stir frequently. Meanwhile, separate 4 egg yolks (reserving the whites for another use) and whisk to combine. *Note - this will take approximately 20 minutes of cooking on low heat. DO NOT be tempted to increase the heat to medium or you will cook the egg yolks, the eggs will scramble, and you will ruin the curd. Curd will thicken upon cooling. Spoon the chilled orange curd over pancakes, cake, toast, scones...you name it. I sincerely hope you’ve enjoyed today’s Best Easy Homemade Orange Curd recipe as much as I’ve enjoyed bringing it to you! 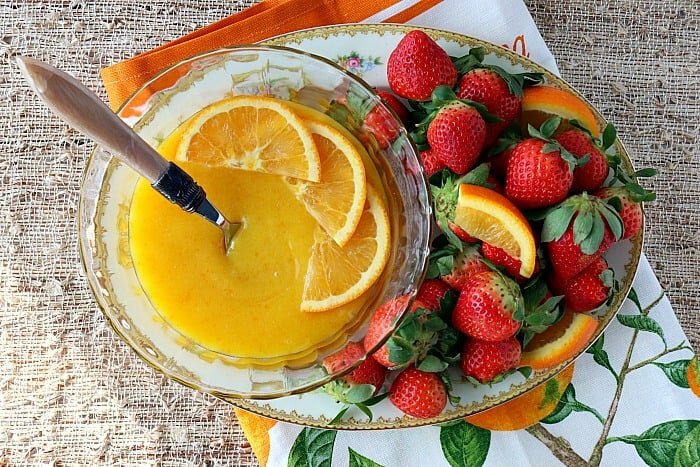 Serve homemade orange curd over pancakes, scones, or even cake! Love this beautiful curd, it’s perfect for baked goods. What a gorgeous looking curd – can’t wait to try it! What a well thought out and organized tutorial! Perfect step by step demonstration! Such a delicious sauce to serve with scones or in a bar recipe! I appreciate that, Sara. Thank you so much!! What a luscious curd! Your tips are so thorough! Thank you, Liren. I’m glad you find them helpful! I would love to try this! I am sure my kids will love it! Is there a typo in the recipe? In the list of ingredients it calls for 5 egg yolks. In the directions it says to use 4. Yes, the instructions had a typo. So sorry. This is the reason I take photos of the process so I can double check myself in case of errors. All the photos have 5 egg yolks so that’s what I used. Sorry for any confusion this may have caused and I’m sorry I wasn’t able to get back with you sooner, Mike.